AT NO TIME WILL THE PATHOLOGICAL DIAGNOSIS OF A SPECIMEN BE COMPROMISED TO OBTAIN TISSUE FOR RESEARCH PURPOSES.  In all divisions and institutions affiliated with the CHTN, pathological diagnosis and patient care have total priority over the use of any specimen in research. Quality control is fundamental to the successful operation of any service that provides tissue for research. For this reason, the Principal Investigators at each CHTN Division are experienced in anatomic pathology. The Principal Investigators, who are responsible for proper histopathological characterization, participate in research and understand the importance of quality control in the tissues provided. All specimens are subject to an immediate gross examination by a pathologist. The diagnosis is then verified through frozen section, touch preparations, or subsequent evaluation of permanent histopathology. With the exception of fresh shipments, the diagnosis of each sample is confirmed before the specimen is released to the investigator. Fresh specimens are provided to the investigator with a preliminary diagnosis, and the investigator is informed of the final diagnosis as soon as this information is available. Histologic quality control procedures of the CHTN can be reviewed in Histology Quality Control: Procedures Used by the CHTN (pdf 6.9MB).